Brimming with tables featuring the effective date of code changes for electric elevators, hydraulic elevators, escalators and moving walks. 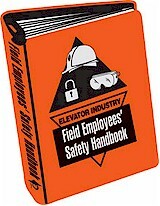 The Elevator Industry Inspection Handbook has been developed to help the experienced, knowledgeable elevator inspector assure compliance with ASME QEI-1 requirements. 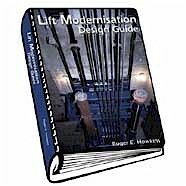 A working manual to assist engineers, consultants, mechanics, surveyors and sales teams actively involved in the art of lift modernization. A pocket-sized companion to the Maintenance Manual designed for the service mechanic to take into the field. 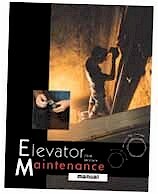 Contains over 75 charts and guides, from the Elevator Maintenance Manual, to be used by the mechanic on a service route. An in-depth guide, designed for the service technician, covering elevator maintenance programs and practices as related to electric and hydraulic elevators. Also covers, escalators and moving walks. This publication is a comprehensive "how-to" guide that can be used for training classes or home study. In addition to technical material, the manual presents topics such as: Public Relations, Maintenance Safety, Maintenance Control and Trouble Shooting. Also available! The Maintenance Field Handbook is a companion to the Maintenance Manual designed for the service mechanic to take into the field.